In the wake of some extreme volatility, Beijing looks to tighten the screws. China’s regulatory authorities are considering narrowing the circuit breaker within the stock market to curb excessively volatile activity. The draft regulation would halt trading for 30 minutes when the CSI Index reached a 5 percent upswing or downswing, and stop for the day when the market reached a 7 percent volatility threshold. The circuit breaker could be invoked once daily. The current circuit breaker exists at a 10 percent volatility threshold, stopping trading for 30 minutes, and at the daily trading threshold, stopping trading for the day. The aim of the circuit breaker is to tamp down wild swings in the market, the likes of which have been experienced in full frightful effect recently. Circuit breakers exist in the U.S. and other countries to curb excessive “animal spirits,” first instituted in the U.S. after “Black Monday” in 1987, when the market plunged by 22.6 percent in a single day. In the U.S., the circuit breaker begins at a 7 percent volatility threshold on the S&P 500 Index, imposing a 15-minute trading halt. Additional thresholds of 13 percent and 20 percent are also in place. China’s proposed tightening of the circuit breaker rules are controversial. While the rules can reduce the intensity of margin calls, which affected China significantly this past summer, some analysts oppose the tightening of circuit breaker rules since it may increase the frequency of stock market stops. The argument is that a 10 percent rule is already in place, and a 5 percent threshold may be too sensitive to allow for normal trading volatility. Others find that it will render existing rules unnecessary, particularly the 10 percent daily trading limit. Still others assert that market volatility is not necessarily irrational, and that if it becomes irrational, it is difficult to determine the threshold at which that occurs. For the stock market to truly be stabilized, deeper reforms are needed. For one, the proportion of institutional to retail investors must rise, as the former tend to be long-run market participants, while the latter tend to trade with higher frequency and have less expertise in market fundamentals and other aspects. To address this, officials have allowed local government pension funds to participate in the stock market. Second, the stock market should become more representative of the economy, with a greater number of privately owned firms listed. Officials should refrain from frequently halting IPOs. While this will likely mean that volatility in the stock market will have a greater impact on the real economy than it does at present, it will also mean that stock market fluctuations should logically mirror broader economic indicators and therefore should be easier to interpret for retail investors. 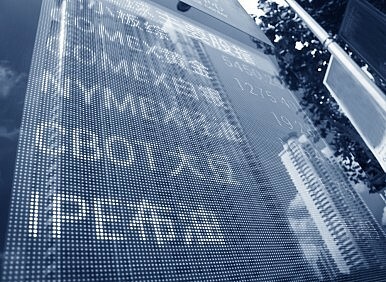 Third, complementary reforms in the financial system must be carried out to expand private credit. The banking system suffers from insufficient competition and dampened profitability due to the dominance of the Big Four state-owned banks. The corporate bond market is immature and underused. Reforms and expansion of private credit in banks and bond markets would theoretically reduce the cost of funding in the financial market as a whole, including in the stock market. The circuit breaker proposal has made the government look active and concerned, although excessive market intervention (with poor results) has been blamed for reducing market confidence. The proposed action may not be overly impactful, since a circuit breaker is already in place. Moreover, deeper reforms must be carried out within China’s stock market and broader financial markets if Beijing is to root out inefficiencies, including irrational volatility. It’s been a rough start to the year. What lies ahead?